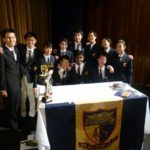 The best teams in the WSDC are made up of Debaters who understand the roles and responsibilities as well as the complexities associated with each speaker position. With this understanding, the speakers can appreciate how the roles complement each other and thus put the team in the best position to win. Before looking at each position in detail, let’s debunk a few of the myths associated with speaker positions. Myth 1. Some speaker positions are more important than others. Truth: Each speaker position is just as important as the other and contributes the same number of points for the team. The detailed analysis of the various positions on this page shows how each position is critical to the debate. Myth 2. The “best” Debaters should always be used in the most important positions. Truth: Different speakers have different attributes and they should be assigned to different positions based on how these attributes match up with each position. Myth 3. Once committed to a certain position, the speakers should never change. Truth: Although all speakers should specialise to a certain extent, especially during tournaments, they should not get into the mindset that they are unable to step into the other positions. This flexibility is especially useful when teammates may be unable to speak due to illness and other reasons. Many of the best speakers are often comfortable speaking in 2 or more positions and will switch roles even during a tournament. Let’s look at the positions in closer detail, analyzing the responsibilities of each speaker and the special considerations for each position. Keep in mind that the recommended number of substantive arguments per speaker is based on the premise that the first, second and third speakers have been given 8 minutes to speak. The first speakers in the debate are critical because that they establish the definitions and the clarifications for the debate. This action creates the foundation for a good debate to build upon. The First Proposition Speaker thus has the onus to provide a fair and comprehensive definition for the debate and for the First Opposition Speaker to ensure that these definitions are acceptable prior to proceeding with the debate. Without this foundation, arguments tend to be delivered in a vacuum and poor debates general ensue. The First Proposition Speaker has an additional challenge because the room is generally “cold” prior to the start of the debate. This means that the judges and the audiences have not fully devoted their attention to the debate and can still be distracted. Thus, the speaker will have to inject the necessary energy into the audience and the room in order to bring the debate to life. First Proposition Speakers usually take advantage of the ability to open the debate by delivering the strongest arguments for the Proposition’s side. These speakers also use the opportunity provided by not needing to rebut to put forward strongly developed substantive arguments with multiple examples to win the audience and the judges over as soon as possible. 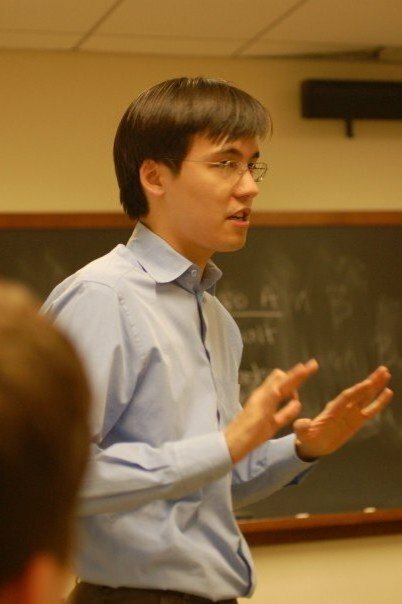 Unlike the other speakers in the debate, the First Proposition Speaker will not have the opportunity to respond directly to the opponents’ arguments. Thus, First Proposition Speakers should make the best use of opportunities such as the giving and taking of POIs to showcase their ability to engage and rebut their opponents. The First Opposition position can be challenging as this speaker has the least amount of time to prepare to respond to two major components, i.e., the Proposition’s definitions and the First Proposition’s substantive argument. The First Opposition Speaker will have to make decisions quickly on whether the definition is to be accepted, challenged or expanded. If the definition is to be challenged, the First Opposition Speaker will then have to explain why there is a need to challenge, provide the counter definition and still rebut the argumentation provided by Proposition. First Opposition Speakers also have the responsibility of delivering the Opposition’s strongest arguments against the motion. These speakers will also be responsible for providing the first attack on the Proposition’s strongest arguments within the debate. The Second Speaker’s position is special as it provides an ideal opportunity to evaluate the overall stance taken by the ppposing team and provide critique on the general approach taken by the opponents. This evaluative process is especially useful for the Third Speakers in framing their rebuttals and for the Summary Speakers to frame their Reply speeches. The Second Speakers are also in a good position to add new dimensions to the debate by developing their argumentation further. This allows the team to broaden the scope of the debate and demonstrate that its approach to the motion does not rest on a single line of argumentation or logic. For instance, if the debate has focused mainly on economic issues, the Second Speakers can switch to more social or political perspectives. 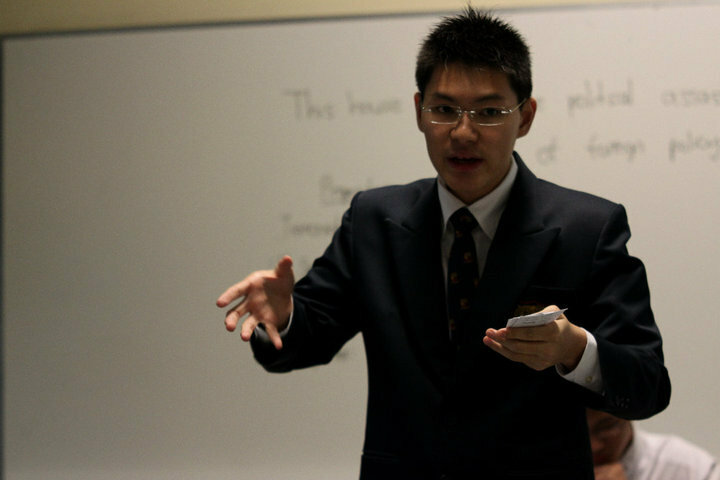 The Third Speakers’ primary role is to attack the substantive arguments raised by the opposing team. Although the Third Proposition Speaker has the option of delivering a small substantive argument, most find it more useful to devote the time allocated to attacking the Opposition’s case. Most Third Proposition Speakers who tried to include a substantive argument generally run short of time for rebuttals or are forced to drop the argument altogether. This will then cause the judges to wonder why the substantive argument was not given to one of the earlier speakers. The Third Opposition Speaker is not allowed to bring up new constructive arguments within a debate as the Proposition will no longer have an opportunity to rebut these points. The Third Speakers should focus primarily on rebutting their opponent’s substantive arguments. Although some of these substantive points may already have been rebutted by the Second Speakers or the First Opposition Speaker, the Third Speaker can add value to the debate by developing the rebuttals further. This means that the Third Speaker can rebut these arguments from a different perspective (e.g., impact on individual vs impact on society) or a different dimension (e.g., short term vs long term). Third Speakers should also address the key examples in their opponents’ cases while adding more examples in their own rebuttals. This does not mean that the Third Speakers should horde examples. In fact, the best examples should be provided to the First and Second Speakers. However, Third Speakers must be able to generate even more examples to support the arguments and rebuttals. Using the examples already raised by the earlier speakers could make the Thirds appear as if they are only regurgitating the points rather than adding value to the debate. Third Speakers should avoid merely listing the arguments in chronological order. Rather, they should re-organise the points into two or three distinct categories (e.g, Political, Economic and Social; Impact on Children, the poor and Minorities, etc) and deliver them based on their order of importance. Although this is commonly known as the “Summary” Speech, debaters should not take the view that it will be enough to merely list out the arguments and rebuttals presented in the debate. Listing out the points already delivered does not provide much value to the debate. In any event, given the short amount of time available, it will not be possible to list all of arguments and rebuttals delivered. First, they demonstrate their understanding of the core issues of the debate by summarising and grouping the arguments into broad areas of clash. Given the limited time available, Reply Speakers are generally advised to group the points to two areas of clash. For instance, In a debate on globalisation, the Opposition Reply Speaker may state that the two main clashes are the impacts on the developing world and the developed world respectively. In contrast, the Proposition Reply Speaker may present that the two areas of clash were in the economic impact and the social consequences. Second, Reply Speakers bring the biggest value to the debate with evaluative analysis. 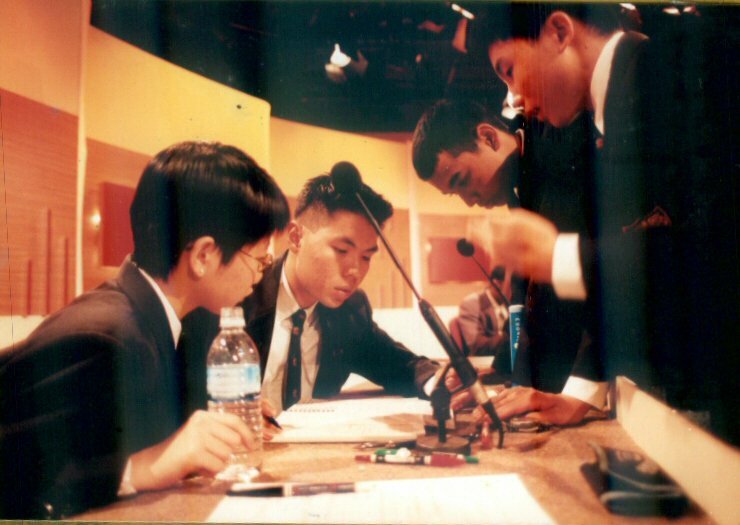 This means that the Speakers look at the debate with a critical eye and describe HOW the debate was won by their teams. They will have to highlight the flaws in their opponents’ approach, arguments and rebuttals while pointing out the strength of their own case and refutations. In one sense, the Reply Speakers will take the role of the adjudicator and describe the how the debate was won by their team. For instance, a Reply Speaker can point out that the opponents had shifted their case, contradicted each other, used arguments without proof or failed to respond to constructive arguments. One trick Reply Speakers can use is to imagine that they are describing the debate to someone who has just entered the room and missed the first six speeches. 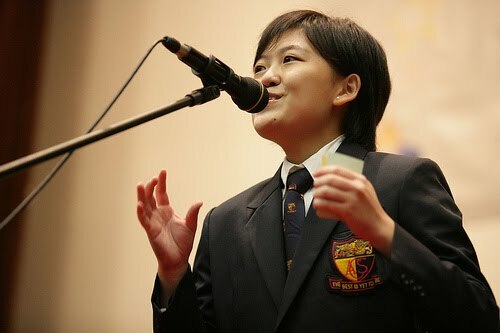 Thus, the Reply Speaker will then describe what happened in the debate and how victory was attained. Reply Speakers should note that no new arguments or refutations may be brought up during their speeches. Thus, the language used in the Reply Speeches should be entirely retrospective and in the past tense. However, the Proposition Reply Speaker could face a situation where the Opposition Third and/or Reply Speaker introduce new arguments. Under these circumstances, the Proposition Reply Speaker should not commit the same error by responding to these new points. It will be sufficient to point out the infringement from the Opposition and carry on with the rest of the Reply Speech. The judges would have disregarded the Opposition’s new material in any case. In the vast majority of debates, the judges will have made their decisions on which team has won by the end of the Third Opposition Speaker. However, the Reply Speeches are absolutely critical as they have some ability to influence HOW a judge should evaluate the match and decide on the winner. 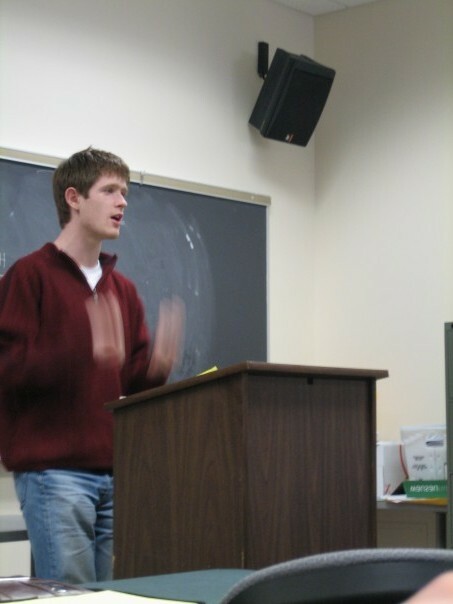 In many tournaments, teams are allowed to have Reserve Speakers who are allowed to prepare for a debate with the floor speakers. These Reserves also play key roles in the debate. In tournaments where the Reserves are allowed to confer with the floor speakers before the Reply Speeches, their contribution is vital. They are able to see the debate from the same perspective as the judges and will see some issues and perspectives that are missed by the floor speakers. 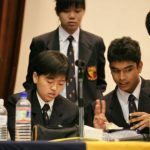 They will also have the ability to observe the judges and the opponents closely and determine which of their team’s arguments and rebuttals have been most effective and thus put emphasis on these areas. They will thus have the ability to contribute to shaping the Reply Speeches. During the debate, the Reserves also play critical roles. In addition to giving time signals to the Speakers, they are also able to provide encouragement for their teammates. They are also able to give instantaneous feedback to their teammates who are delivering their speeches, through applause and overt (and legal) signs of support and confidence. Reserve speakers will need to know the entirety of their team’s cases and rebuttals prior to the start of a debate. Although it is rare, there has been cases where a designated speaker was unable to speak due to a sudden illness or injury. In these circumstances, the Reserves will need to be able to step in without a hiccup. Although the tournament may provide a little time for the team to make substitution, it will not be possible for the Substitute Speaker to learn the entire case on the spot.